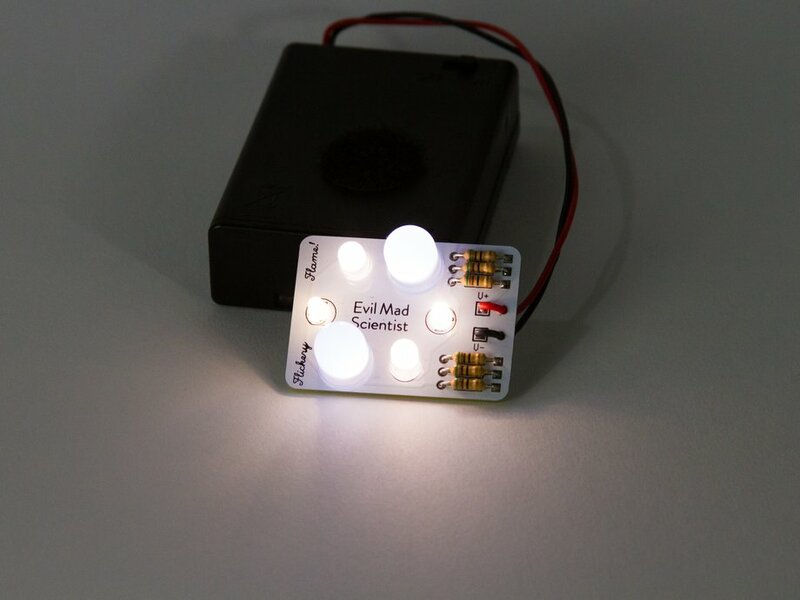 Make an awesome flickering white flame for your decorations, models, luminarias, and props. 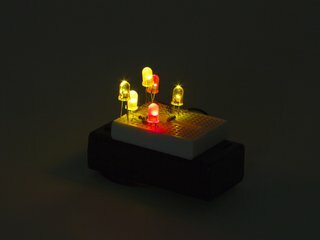 Also available in Yellow/Red. 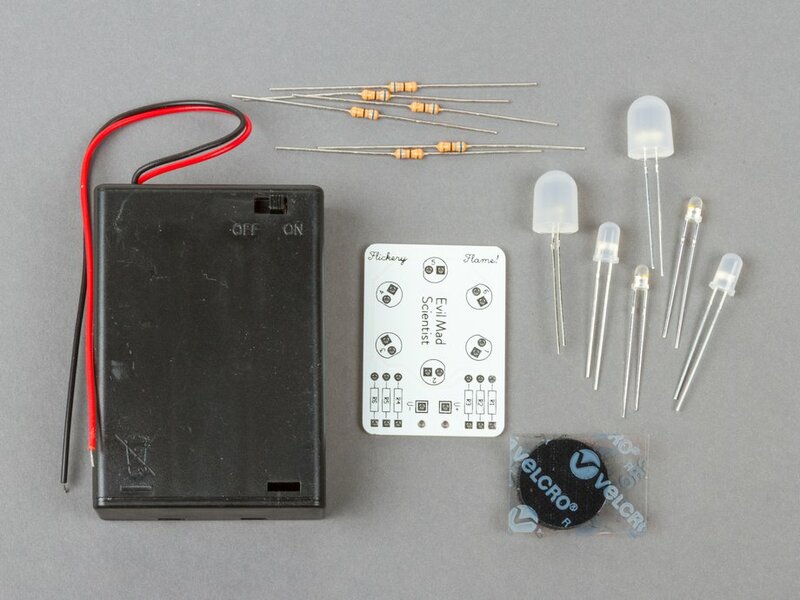 This Flickery Flame Soldering kit includes the parts needed to create a compact, bright, portable simulated fire perfect for holiday displays, decorations, luminarias, scale models, and stage props. 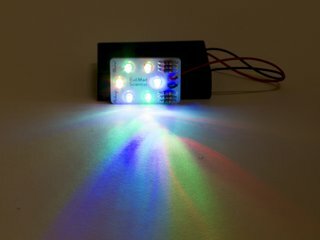 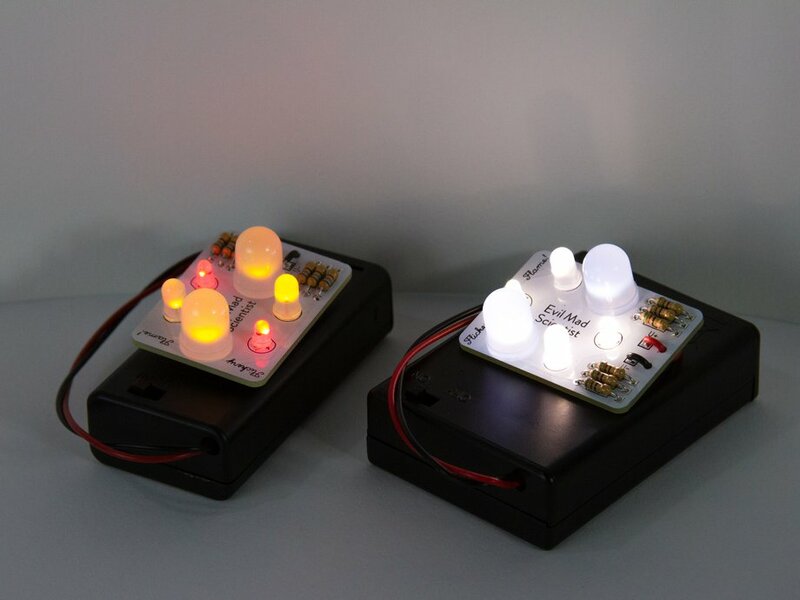 For a modern twist, it comes with six candle-flicker LEDs in white and warm white colors, rather than the more "traditional" yellow and red version. 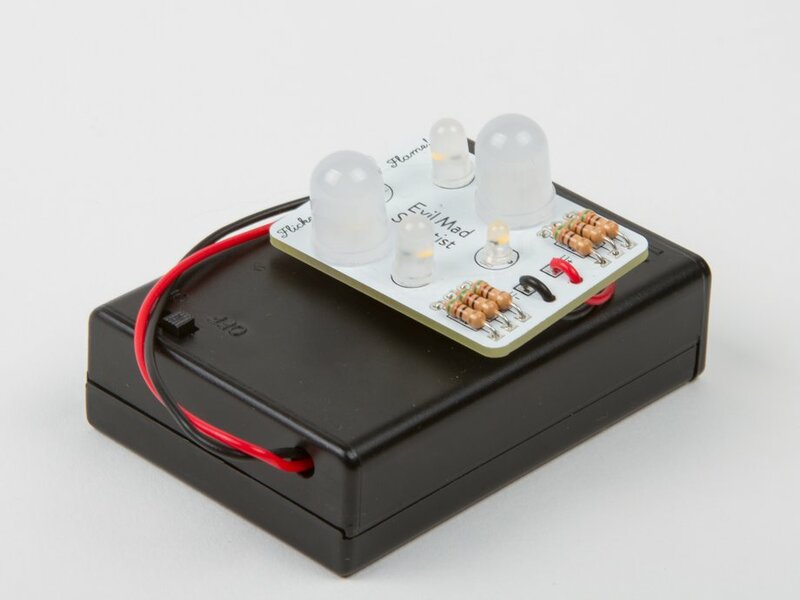 User provides three AA batteries. 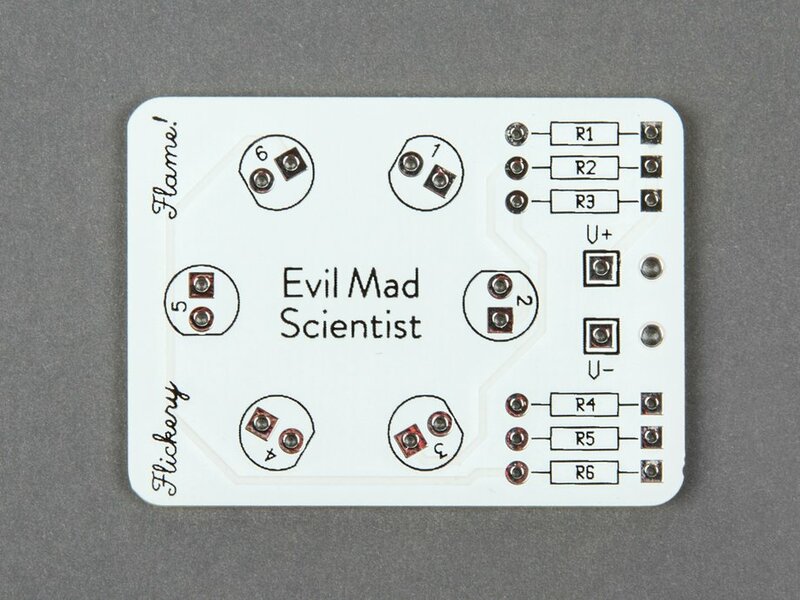 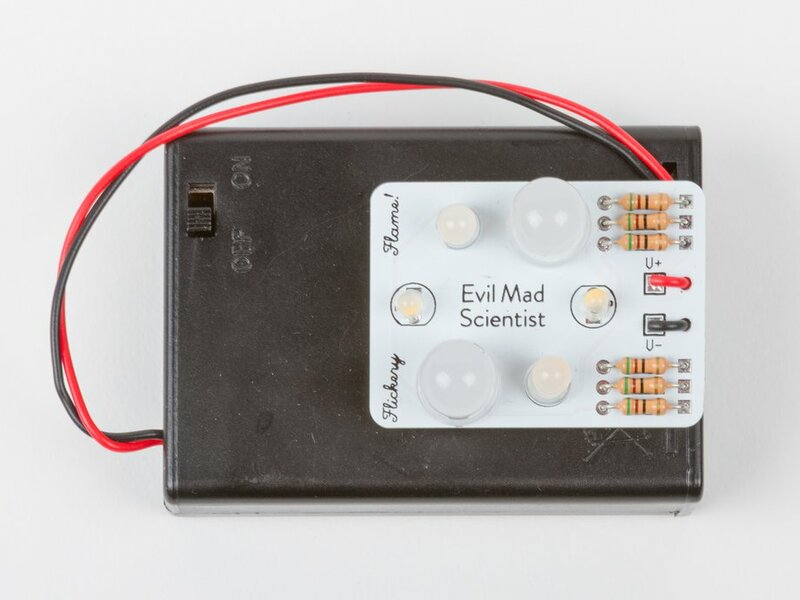 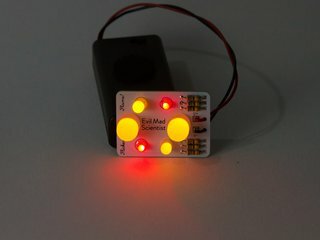 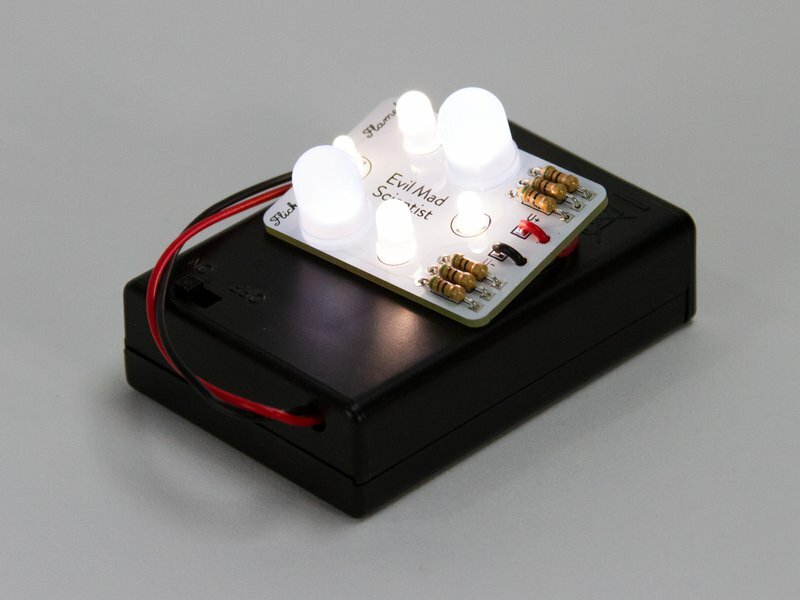 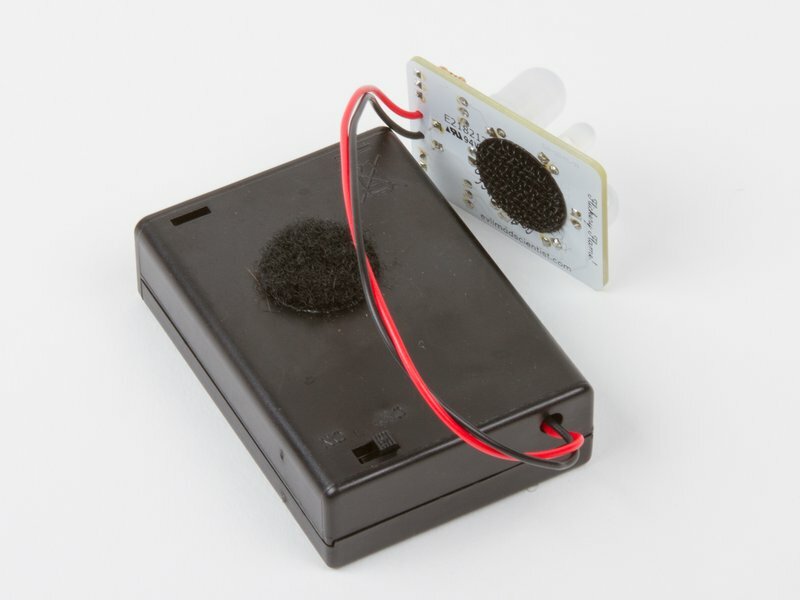 If you would like a kit just like this without the soldering part, we do have a Solderless Flickerly Flame kit, available here.